We believe in ideas. It’s ideas that bring about changes and advancement. We believe in interaction. Through interaction and dialogue we learn new things and sharpen our minds. 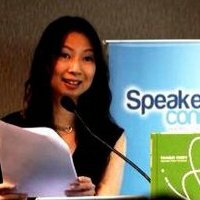 That’s why I founded Speakers Connect and China Speakers Agency（中国名人演讲堂）. Based in Hong Kong, with an Asian focus and a global perspective, we bring you today’s best and brightest speakers from around the world. Our mission is to help you inspire and enrich your audience with dynamic ideas and fresh insights. We proudly serve businesses, and organizations that seek a global perspective, regional expertise, or results-oriented management training. Join our prestigious clients to enjoy our services today!